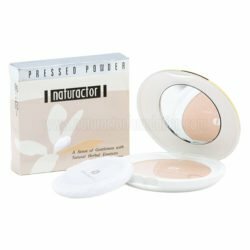 Skin Smoothing Powder Archives - Naturactor Foundation - Buy Naturactor Products Online. Naturactor Powder Foundation is an all-in-one makeup foundation that you can use alone, without any other products! It is perfect for people that are on the go and have no time putting lots of cosmetics on their face. This powder foundation is so powerful that just a little dab of this product is enough to cover even the most stubborn skin imperfection you can imagine without the need to put additional primer, concealer or finisher. 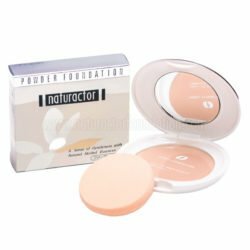 If you are tired of putting an armor of makeup to cover up your bad skin day, Naturactor Powder Foundation is the product for you. Hailed as the number 1 powder foundation in Japan, All Japanese makeup artist carries this amazing indispensable product. Naturactor Pressed Powder gives the best coverage without the hassle of putting an armor of makeup! Effectively covers large pores, dark spots, skin discolorations, scars, fine lines and other skin imperfections. It Infuses your skin with Jojoba Esters to keep it soft, supple and hydrated, Squalene and Vitamin E to keep it looking younger and firmer while Lauroyl Lysine primes your skin to get that smooth look as it prevents caking, patching, flaking and spotting. Naturactor pressed powder is based on the combination of Mica, Silica and Pearl to give an unparalleled skin illuminating effect that leaves your skin looking divine and flawless all day!